There are several studios like this available in the building, but purchases can't be financed by a bank—the units are being sold for all cash. 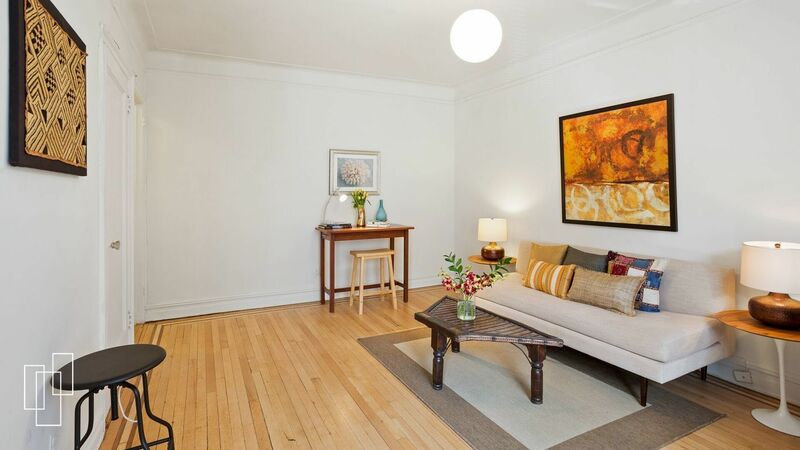 Granted this studio, 300 8th Ave., #2D, in Park Slope is tiny and it certainly doesn’t fall into the newly renovated category. 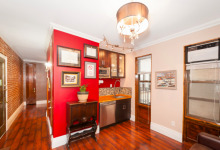 On the market for $255,000, the unit is interesting, if only to see how small you need to go to get something close to $250,000 in this city, albeit in a prime Brooklyn location, one block from Prospect Park. According to the agent, the building sponsor is retiring so several small studio units that had been rented out in the region of $1,500 to $1,650 per month over the past year or so are being sold. Unit 2D is one of them. The sponsor still owns more than 51 percent of the shares in the building, which means banks won’t finance the sale, so for these studios only all-cash offers are being considered. However, you will avoid the board-approval process, so there's that. 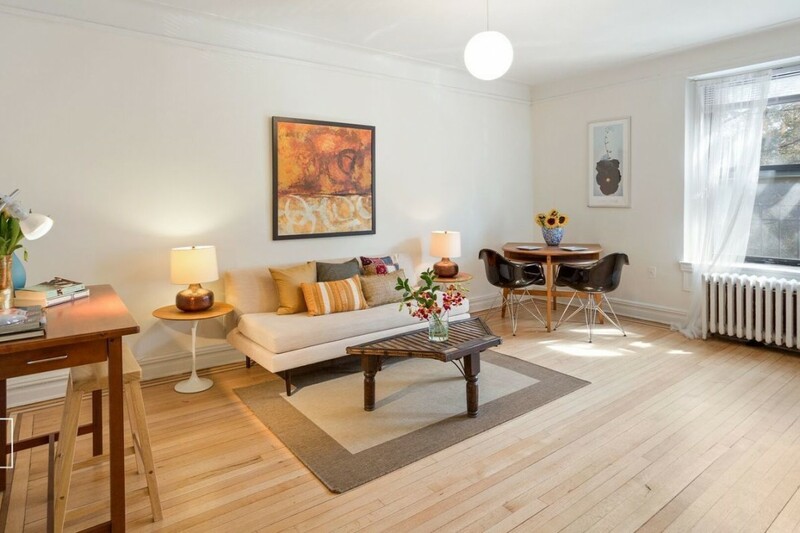 Although the apartment is probably not more than 300 square feet, the size is entirely legal. 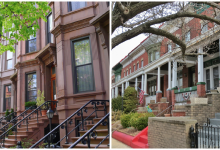 In 1987, the city put zoning changes into effect mandating apartments be above 400 square feet for new buildings. This apartment would have been grandfathered in, since the 1920 building went up long before those rules took effect. 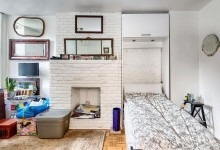 You may come across brand new micro apartments too in your apartment search: In recent years, the city has been giving developers some limited ability to create apartments under 400 feet. 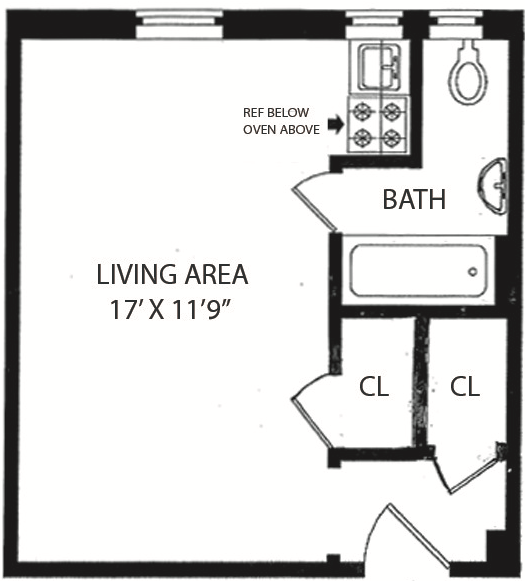 This is the living room, bedroom, and kitchen; there's a small foyer, but no alcove or sleeping loft. The kitchen consists of a refrigerator, a burner, and a microwave plus a small cabinet for storage. 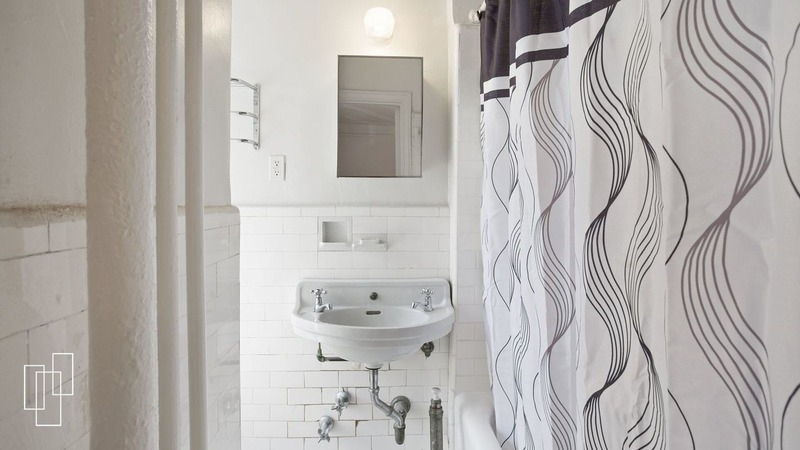 The bathroom has some exposed pipework and the tile and finishes could do with an upgrade. The building is open to cat owners but dogs are not allowed. There are 95 units in the co-op, mostly studios and many that face an interior courtyard. 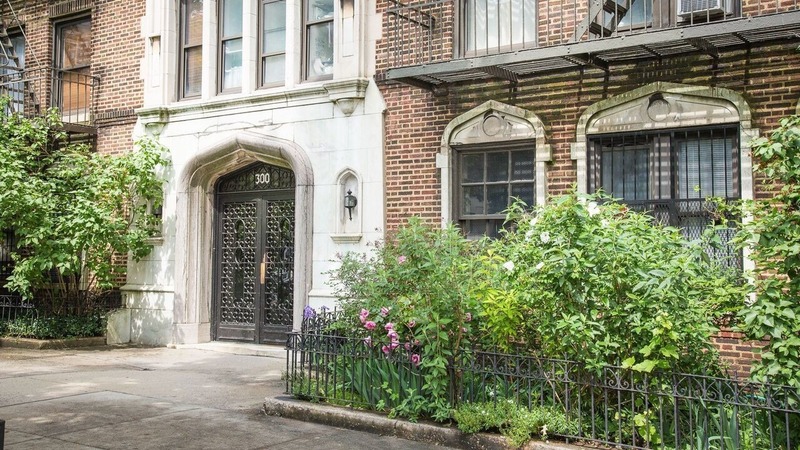 Amenities include an elevator, bike room, and live-in super. Monthly maintenance has recently been increased to $630. The increase is intended to bring the building's reserve fund up to $250,000 over the next three years so that in the future, financing for other units might be feasible. For comparison, the listing agent says a similarly sized unit, 4F with open views, is currently in contract for $259,000 and unit 4G, which faces an interior courtyard, just closed for $245,000. 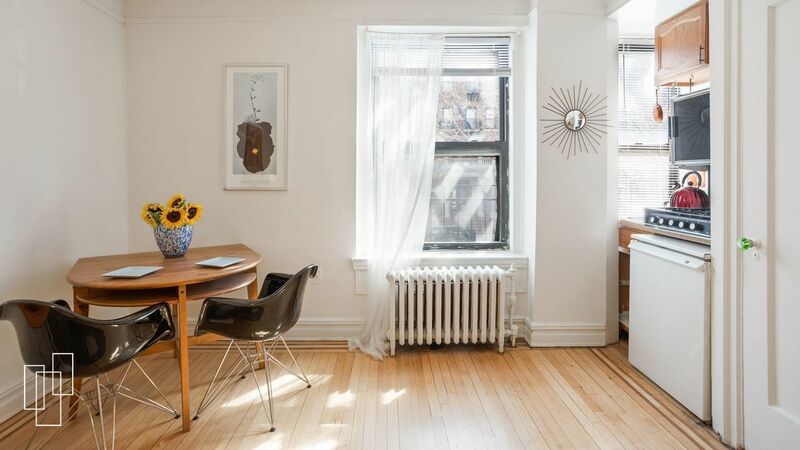 In January, another of the studios, 5N, closed for $253,649. 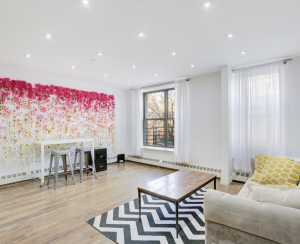 According to the broker, the studios are popular with first-time buyers, medical school students, those wanting a pied-à-terre, or creatives who own apartments nearby and use them as their workspace away from home. Transport options are the F and G lines although the nearby station, which is a 10-minute walk from the building, is not accessible to people with wheelchairs or strollers. The area is bike friendly and has lots of car-share options.